1350-1400. A jousting tournament must have been the most splendid spectacle that anyone could expect to see. 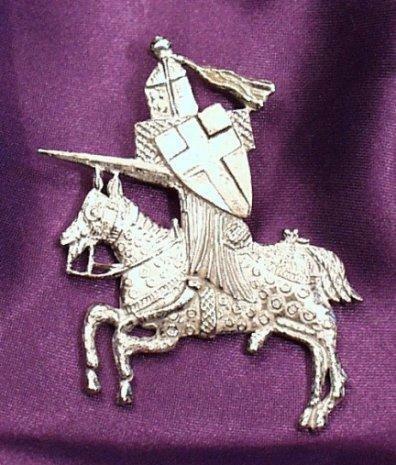 To celebrate the glamour and excitement this badge shows the armoured knight upon an elaborately costumed horse. The object of the sport was to break ones lance by striking the opponent.